Everyone loves Christmas in July. For those lucky enough to have winters with snow, you remember the wintery treat you made when you were young. All it took was a little snow and ingenuity. 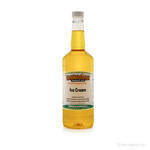 You may have called it snow cream or homemade ice cream, but regardless of what you called it or how you made it, you remember it was always delicious. Our snow cream shaved ice wonderfully captures that delicious, creamy taste you created with a little help from Mother Nature. No longer do you have to wait until winter to enjoy your shaved ice cream. Our ice cream shaved ice kit means you can have the wintery treat anytime of the year. 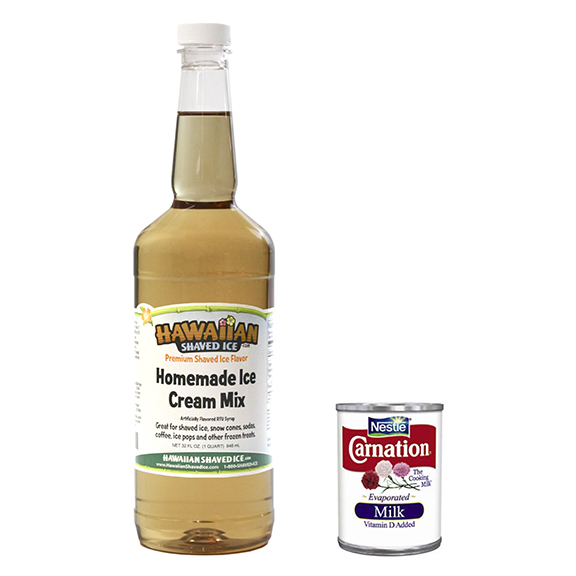 Our ice cream shaved ice kit includes a quart of our secret shaved ice/snow cream mix, a can of premium evaporated milk, and directions on how to make that wonderful winter treat. Our snow cream shaved ice recipe is sure to bring back those delicious memories.